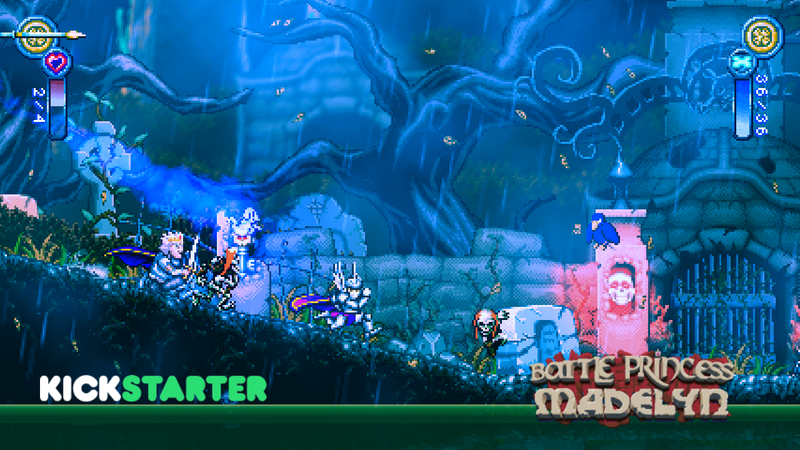 Causal Bit Games has just launched a Kickstarter for its new action platformer game, Battle Princess Madelyn, with a goal of $45,089. Battle Princess Madelyn, takes inspiration from the classic arcade and 16-bit pixel games of the late 80s early 90s, most notably Ghouls N’ Ghosts and Wonder Boy 3: The Dragon’s Trap. Different, are the characters, settings with an original story and visuals bred from hand-drawn art. The game uses the Unity Engine, bringing out vibrant lighting effects and fluid animations. Also fresh is its soundtrack by John McCarthy (Nintendo Quest), and gaming synth musician Gryzor87. Battle Princess Madelyn seeks to release on Nintendo Switch, Wii U, PC, Xbox One and PlayStation 4. A playable Pre-Alpha demo is now available to play on its Kickstarter page, at www.battleprincessmadelyn.com.